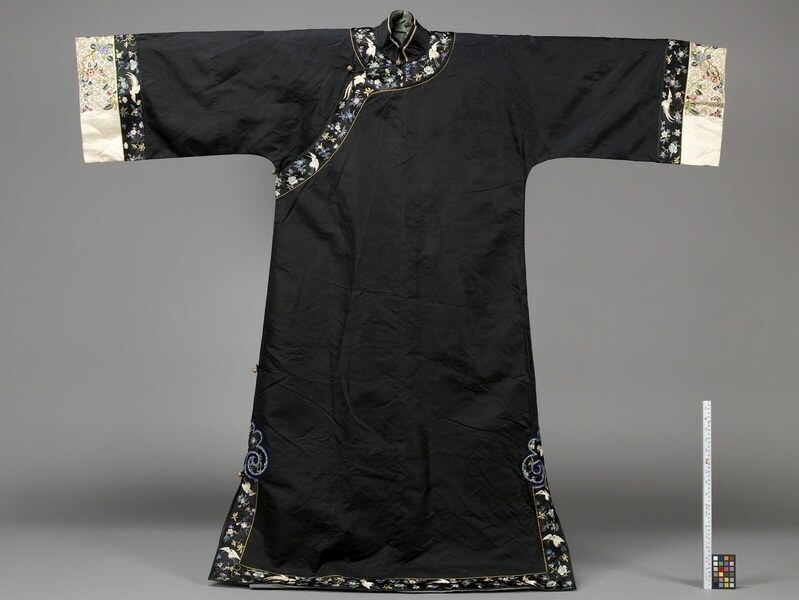 Floor-length black silk robe with embroidered and damask woven designs. The robe opens on the right front, fastened together by two moulded gold buttons at the neck and three on the side. At the neck is a short, stand-up collar with a thin tan band of fabric near the top edge. Below the collar is black border of multicoloured flowers and white birds. The border angles down the right side and stops below the sleeve. The border resumes on both sides near the bottom and continues along the bottom edge. The end of each sleeve has two borders; cream with a floral pattern and gold couched scrollwork on the upper half and back of the sleeve, and black with multicoloured flowers and white birds. 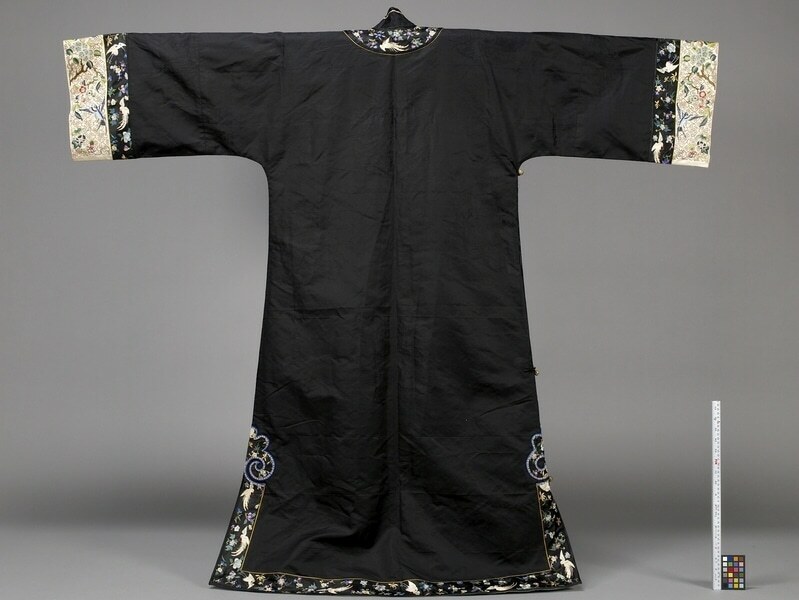 The pattern on the body of the robe is damask woven medallions featuring a landscape. The pattern and borders continue on the back side. The inside lining is green silk.